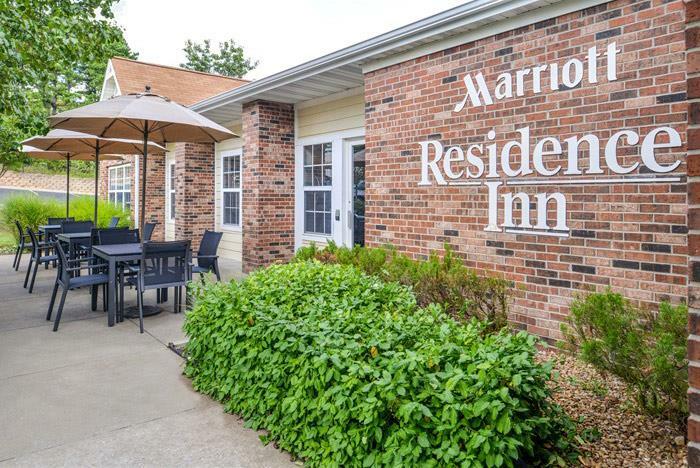 Ideal for business and leisure travelers alike, Residence Inn Branson offers contemporary accommodations and modern amenities near top area attractions like Silver Dollar City and Tanger Outlet Mall. 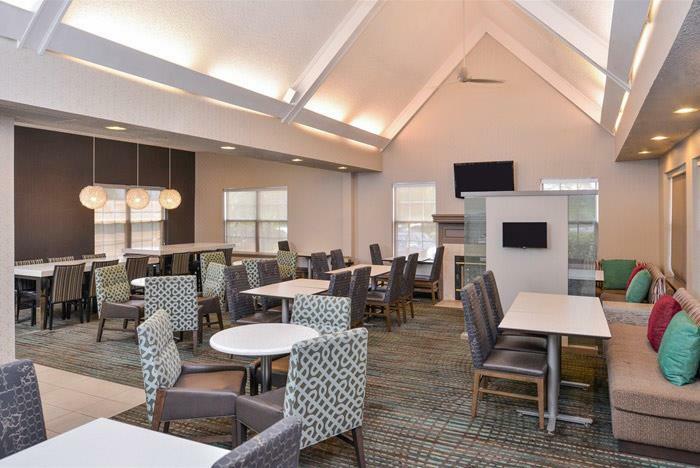 Guests can take advantage of an indoor pool, an outdoor fire pit and grill, a SportCourt®, complimentary daily breakfast, an exclusive RI Mix social gathering (Monday – Wednesday evenings), and more. Each suite boasts a full kitchen, living and dining areas and some rooms feature a fireplace. Thousand Hills Golf Course across the street. 6.7 miles from Silver Dollar City. Welcome to the warm and friendly Residence Inn Branson, MO. Located in the heart of Branson, our all-suite hotel is designed for the marathon business traveler, family or traveling group, specializing in extended stay. Appreciate versatile accommodations with an engaging service attitude. Guests find many attractions, restaurants and shopping nearby, including the award-winning Thousand Hills Golf course, just steps away. Each of our suites boasts a full kitchen, living and dining areas and some rooms feature a fireplace. Quickly discover that we surpass other Branson hotels with fine amenities, including an evening reception (Monday-Wednesday), a grill for use and a relaxing fire pit. 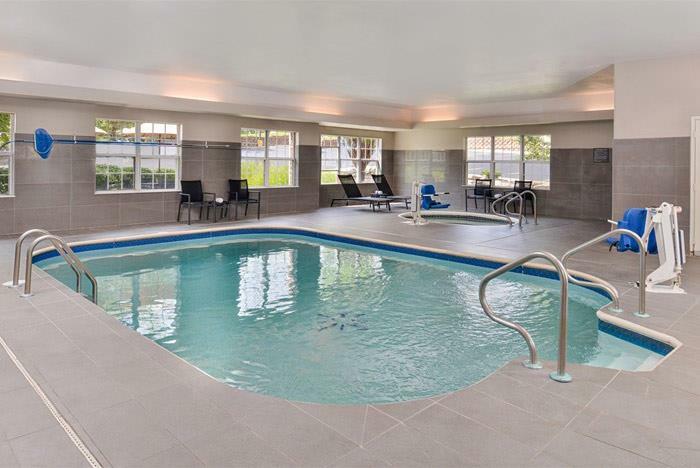 Challenge your family on the SportCourt® before unwinding with a dip in the indoor pool. Indulge in a complimentary hot breakfast each morning. We are one of the few pet-friendly hotels in Branson, with a one-time $100 non-refundable fee. We look forward to welcoming you. Must be at least 21 years of age to check-in. We have just recently completed a full renovation of the entire hotel. Everything is updated with modern and new furniture and décor, including new king size beds in all of the rooms! 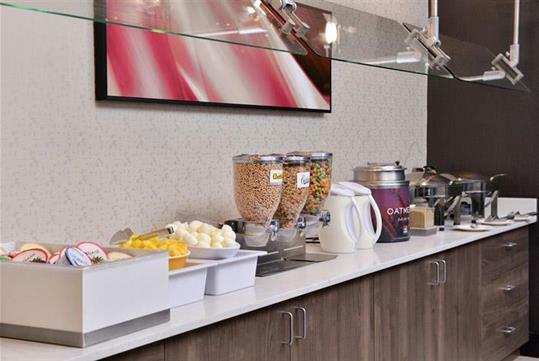 Also, a brand new expanded breakfast area and a new fitness center are now all available! How many rooms are available at your property? All rooms are located inside one main building. Residence Inn does not offer adjoining rooms. Is there a restaurant on-site? A Lounge? Café? Does Residence Inn have a minimum age required for check-in? Guests must be 21 years of age to check-in. Do you have any resort or unit fees? Is the Residence Inn pet friendly? If so, what are the policy and fee details? Yes, there is a $100 non-refundable pet fee. Pool hours are from 7am-midnight. There is free on-site parking. 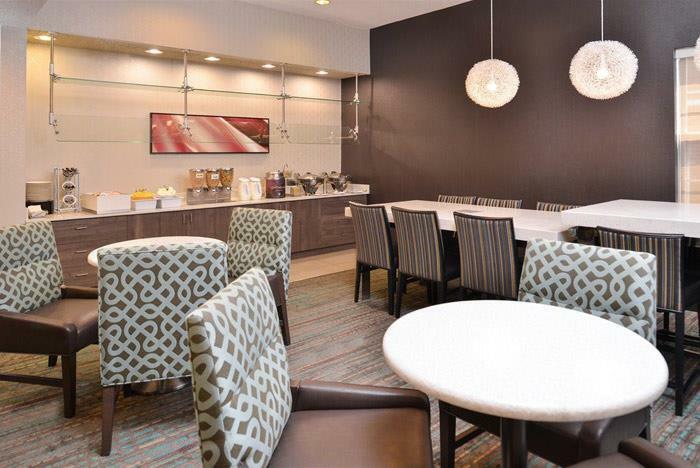 Yes, Residence Inn has 24-hour front desk. Is there a sundry shop or gift shop located on site? Is Wi-Fi available throughout the property? Does the hotel offer shuttle service to area attractions and/or the airport?